Defending German champions Bayern are fifth in the table and are seven points adrift of leaders Borussia Dortmund before Saturday's home match against Fortuna Duesseldorf, who are second from bottom. BERLIN: Canadian teenager Alphonso Davies has started training with Bayern Munich, but fans must wait until January for the 18-year-old wunderkind to make his Bundesliga debut. "Alphonso will train normally during the four weeks until the winter break (starts December 23) to have time to settle in here," Bayern sports director Hasan Salihamidzic said. "He'll be part of the squad and available to play from January 4," he added, meaning Davies could make his debut in Bayern's first Bundesliga match of 2019 at home to Hoffenheim on January 18. "We’re excited about him and I'm sure he’ll develop here and help us." Davies only turned 18 last month, but Bayern signed him from Vancouver Whitecaps in July for a reported $13 million (11.4m euros) -- the highest transfer fee ever paid for a Major League Soccer player. His under contract runs until June 2023 and the transfer could rise to $22 million (19 million euros) if specific targets are met. Davies was put through his paces for the first time at Bayern's training centre on Wednesday alongside stars such as Robert Lewandowski, Manuel Neuer and Thomas Mueller. "My first impressions of the training ground were great," said Davies. "As a kid I dreamed of being part of such a big club. "Now I am and it's unbelievable. I'm very excited and looking forward to my time. "I want to prove myself every day in training and work hard." Davies was born in a refugee camp in Ghana after his parents fled civil war in Liberia. The family emigrated to Canada when he was five, settling in Edmonton, Alberta. His talent was spotted at an early age and after being enrolled in the Whitecaps' residency scheme, his progress was rapid. 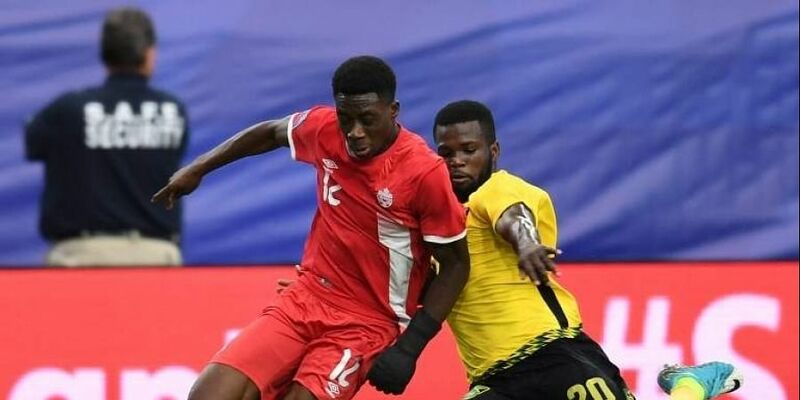 Davies became the youngest player to make his MLS debut at 15 years, eight months and 15 days old, then made his debut for Canada in June 2017 -- a week after obtaining citizenship. He set up 10 goals and scored eight in his final MLS season, signing off with both goals to seal a 2-1 win over Portland Timbers in his final match for Vancouver at the end of October.